ky Plank Vintage Marketplace is back this year and promises to be bigger and better than ever! This fun annual event takes place on the grounds of beautiful Rippavilla Plantation and features the best antique and vintage dealers in the area! Along with the great shopping there will be live music and food trucks to enjoy. Thursday, July 13 – Sneak Peek Party 4:00 p.m. to 8:00 p.m.
Party Pass: $25.00 includes admission for entire weekend. 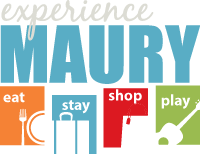 Tour the historic mansion for an additional $5.00 per person. 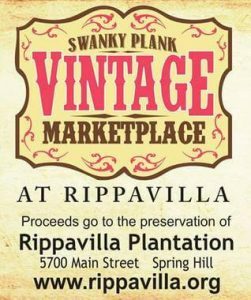 Proceeds from Swanky Plank Vintage Marketplace continue the restoration and preservation of Rippaviilla, Inc.